Cardboard cylinder totem shelve. Pop aesthetic shelve, throw away furniture designed circa 1970. Shelve with three compartments. Enamel black spray paint. 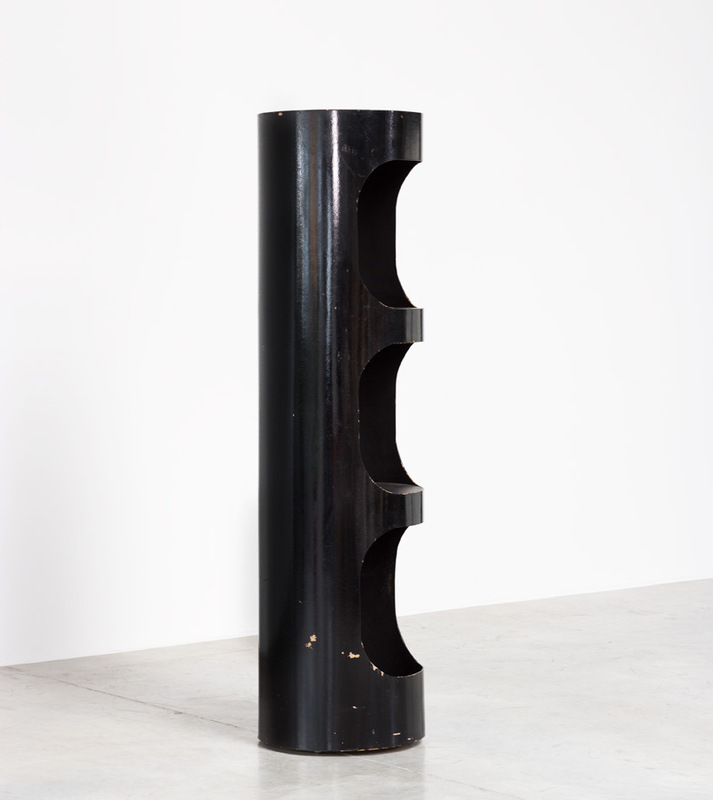 Etagère en forme de cylindre, totem. Meuble Pop en carton (throw away furniture), conçu vers 1970. Etagère avec trois compartiments.